My friend and fellow docent, Conway Bracket, inspired me to do a "Totally Looks Like" Funny Friday. Check out her latest. 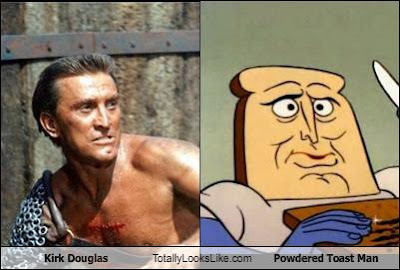 Meanwhile, I scoured the LOL site, "Totally Looks Like," for classical references so you wouldn't have to! ;-) Enjoy! 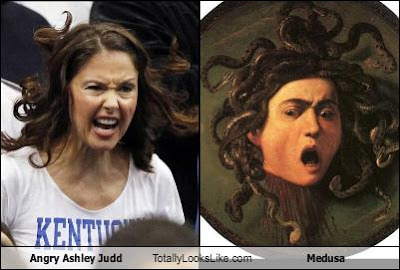 Angry Ashley Judd totally looks like Medusa. 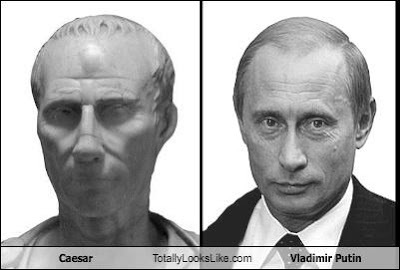 Caesar totally looks like Putin. Socrates totally looks like Anthony Hopkins. Also Spartacus TOTALLY LOOKS LIKE A WAX FIGURE. What color skin IS that exactly? It doesn't even look like modern spray tans. It looks like a color from my daughter's CRAYON BOX. Gilly you totally crack me up! Thanks for commenting. LOL at Ashley Judd. Where do you find these pics? Hilarious. Oooooh, Ashley Judd's SO doing the Medusa thing. I am SO glad my kids don't keep a camera handy when I go all Medusa. 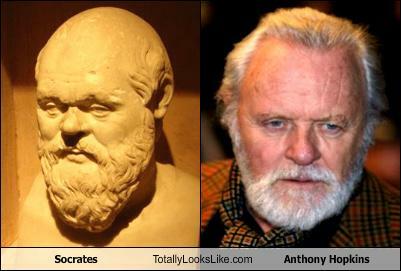 Socrates really DOES look like Anthony Hopkins! Someone should write a script for him to play Socrates in!